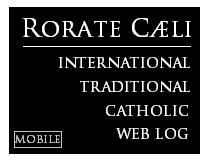 RORATE CÆLI: Interview: SSPX's Fellay Speaks on Meeting with Cardinal Müller - Kasper's consistently following Spirit of the Council to its logical end. - Kasper's consistently following Spirit of the Council to its logical end. The General House of the Society of Saint Pius X (FSSPX / SSPX) in Switzerland has just released an interview granted by the Superior-General of the SSPX, Bp. Bernard Fellay, on the meaning of the meeting held with the Prefect of the Congregation for the Doctrine of the Faith (CDF), Cardinal Gerhard Müller, on September 23. You were received by Cardinal Müller on September 23rd. The communiqué from the Vatican Press Office repeats the language of the 2005 communiqué issued after your meeting with Benedict XVI, which already said that the parties would “proceed gradually and over a reasonable period of time… with a view to the envisioned full communion.” The 2014 communiqué, on the other hand, speaks about “full reconciliation.” Does this mean that you are starting over at the beginning? Yes and no, depending on the perspective that you take. There is nothing new, in the sense that both our interlocutors and ourselves, we realize that doctrinal differences still exist—which had been made quite clear during the theological discussions in 2009-2011—and that because of this we were unable to sign the Doctrinal Preamble that the Congregation for the Doctrine of the Faith has proposed to us since 2011. There is a new pope and a new prefect heading the Congregation for the Doctrine of the Faith. And this recent interview shows that neither they nor we want a break in our relations: both parties insist that it is necessary to clarify the doctrinal questions before there is any canonical recognition. This is why, for their part, the Roman authorities are demanding the endorsement of the Doctrinal Preamble which, for our part, we cannot sign because of its ambiguities. Another new fact is the current aggravation of the crisis in the Church. On the eve of the Synod on the Family, serious, well-founded criticisms made by several cardinals against Cardinal Kasper’s proposals about communion for the divorced-and-remarried are coming to light. This has not been seen in Rome since the criticisms by Cardinal Ottaviani and Bacci in their Short Critical Study on the New Order of Mass (the “Ottaviani Intervention” of 1969). But what has not changed is the fact that the Roman authorities still do not take our criticisms of the Council into account, because to them they seem secondary or even illusory, given the severe problems in the Church today. These authorities do recognize the crisis that is convulsing the Church at the highest level—now among cardinals—but they do not consider that the Council itself could be the main cause of this unprecedented crisis. It is like a dialogue of deaf people. Cardinal Kasper’s proposals in favor of communion for divorced-and-remarried persons are an illustration of what we blame on the Council. 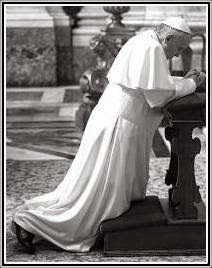 In the talk that he gave to the cardinals during the Consistory on February 20th of this year, he proposed doing again what was done at the Council, namely: reaffirming Catholic doctrine while offering pastoral overtures. In his various interviews with journalists he harps on this distinction between doctrine and pastoral practice. He says that theoretically doctrine cannot change, but he introduces the notion that concretely, in reality, there are some situations in which the doctrine cannot be applied. Then, in his opinion, only a pastoral approach is capable of finding solutions… at the expense of doctrine. For our part, we blame the Council for making this artificial distinction between doctrine and pastoral practice, because pastoral practice must follow from doctrine. Through multiple pastoral concessions, substantial changes have been introduced in the Church, and its doctrine has been affected. This is what happened during and after the Council, and we denounce the same strategy that is being used today against the morality of marriage. But was it only pastoral changes in the Council that indirectly affected doctrine? Cardinal Kasper is quite logical and perfectly consistent: he proposes applying pastorally to marriage the new principles concerning the Church that were spelled out at the Council in the name of ecumenism: there are elements of ecclesiality outside the Church. He moves logically from ecclesial ecumenism to matrimonial ecumenism. Thus, in his opinion, there are elements of Christian marriage outside of the sacrament. To look at things concretely, just ask spouses what they would think of “ecumenical” marital fidelity or fidelity in diversity! Similarly, what are we supposed to think about a so-called “ecumenical” doctrinal unity that is united in diversity? This sort of result is what we denounce, but the Congregation for the Doctrine of the Faith either does not see it or else does not accept it. The mutual desire of Rome and in the Society of Saint Pius X to continue doctrinal discussions in a broader, less formal framework than in the previous discussions. But if the doctrinal discussions in 2009-2011 accomplished nothing, what good is it to resume them, even in a broader fashion? Because, following the example of Archbishop Lefebvre, who never refused to go to Rome at the invitation of the Roman authorities, we always respond to those who ask us about the reasons for our fidelity to Tradition. We could not shirk this responsibility, and we will fulfill it in the spirit and with the obligations that were defined by the last General Chapter. But since you just mentioned the audience that Benedict XVI granted me in 2005, I remember saying then that we wanted to show that the Church would be stronger in today’s world if it upheld Tradition; I would also add: if it proudly recalled its bi-millennial Tradition. I say it again today, we wish to contribute our witness: if the Church wants to end the tragic crisis that it is going through, Tradition is the response to this crisis. This is how we manifest our filial piety toward eternal Rome, to the Church, the mother and teacher of truth, to whom we are deeply devoted. You say that this is about giving witness; it is not rather a profession of faith? One does not exclude the other. Our Founder liked to say that the theological arguments with which we profess the faith are not always understood by our Roman interlocutors, but that does not relieve us of the duty to recall them. Moreover, with his characteristic supernatural realism, Archbishop Lefebvre added that the concrete accomplishments of Tradition: the seminaries, schools, priories, the number of priests, brothers and sisters, of seminarians and lay faithful, also had a great value as proof. Against these tangible facts no specious argument can hold up: contra factum non fit argumentum. In the present case, we could translate this Latin adage by the saying of Jesus Christ, “A tree is judged by its fruits.” And in this sense, while professing the faith, we must give witness to the vitality of Tradition.